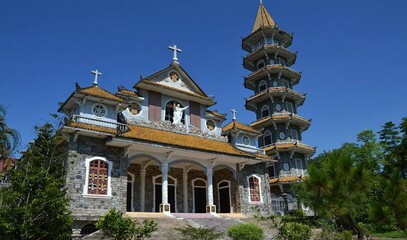 Mgr Micae Hoàng Đức Oanh, bishop of Kontum, visited the Benedictine monastery in Thiên An on 4 April where he officiated the ordination of five religious. The friary is the focus of a painful dispute with Vietnam’s communist regime, which has been trying for some time to seize its 110 hectares of protected forest and eradicate the practice of religion. Mgr Hoàng stopped to pray at the Order’s ‘Hill of tribulation’, defiled some time ago by thugs sent by the authorities in Huế, capital city of Thừa Thiên Huế province. The bishop took on his visit Fr Tađêô Nguyễn Van Lý, Fr Phêrô Nguyễn Van Giải, and Fr Phêrô Phan Văn Lợi, important figures in the struggle for justice, human rights and religious freedom in Vietnam. However, only Fr Tađêô Lý was able to make it to Thiên An monastery. Eight years in Communist prisons and five under house arrest did not undermine the faith and courage of the elderly priest. Local authorities were however able to keep away Fr Phêrô Phan Văn Lợi, who has been under house arrest for 40 years. During his pastoral visit, Mgr Hoàng talked about his missionary experiences, encouraging the faithful and the religious in Thiên An to heal the bleeding wounds of the Vietnamese people, as well as pray and act in accordance with Christian values. The bishop celebrated Mass for the ordination of the five religious in the monastery chapel. 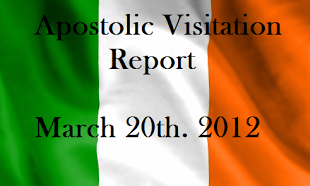 During the service, he called on everybody present to proclaim the Good News to the world. In particular, he invited young people to answer the call of the Lord, and dedicate their lives to the mission of evangelisation and consecration to God. Mgr Hoàng finally urged the faithful to express their faith at all times and keep hope alive in day of Resurrection. The Benedictine monastery of Thiên An, in the Archdiocese of Huế, was founded on 10 June 1940 by French missionaries. It is visited by believers and is home to priests, nuns, religious and seminarians engaged in pastoral outreach (for Catholics and others) in three different churches in the city. The Archdiocese of Huế, which covers two provinces, has about 70,000 members in 78 parishes. In 1998, then Deputy Prime Minister Nguyễn Công Tạn signed the order to expropriate the land next to the monastery. Since then, local authorities have been trying to seize it and adjacent buildings to make way for a travel agency. The monastery is often the subject of attacks by thugs hired by local authorities to frighten Catholics and convince them to leave the area. This comes on top of police raids, with officers breaking into the building or threatening to seize it. On a daily basis, local gangs try to disrupt services, harassing and threatening hundreds of religious. Supported and protected by the government, the thugs bother the believers and visitors with vulgarities and blasphemous words. However, under Vietnamese law, the monastery of Thiên An is a place of worship with a religious vocation. Over the years, it has helped the local community with many social and cultural projects, as well as initiatives to protect the environment, health and the conservation of a protected forest.